UNB researchers are once again at the forefront of research with the discovery of small but unequivocal genetic differences among Atlantic Canada lobsters. 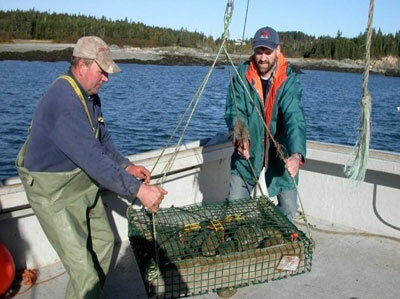 The research, from a five-year study led by Dr. Rémy Rochette, a marine evolutionary ecologist from the Saint John campus, could shed light on the way lobsters are connected and possibly impact the future management of stocks. The five-year study involved input from more than 500 fishermen and sampling over more than 2,500 "boat days" in the coastal waters off Quebec, Newfoundland and the three Maritime provinces. It included research into spatial and inter-annual variability in egg production, modeling of larval dispersal, processes underlying the transition from the water column to the sea floor, movements on the sea floor by juvenile and adult individuals and genetic stock structure. The research, recently presented in Charlottetown and Halifax, is one of 12 projects that are part of the Canadian Fisheries Research Network, the result of $10 million in research aimed at advancing more sustainable fisheries practices and policies in Canada.